Construction at 70 Schermerhorn Street in Brooklyn Heights, Brooklyn is now above street level. The 12-story condominium is being designed by Eugene Colberg and developed by Lonicera Partners and Orange Management. 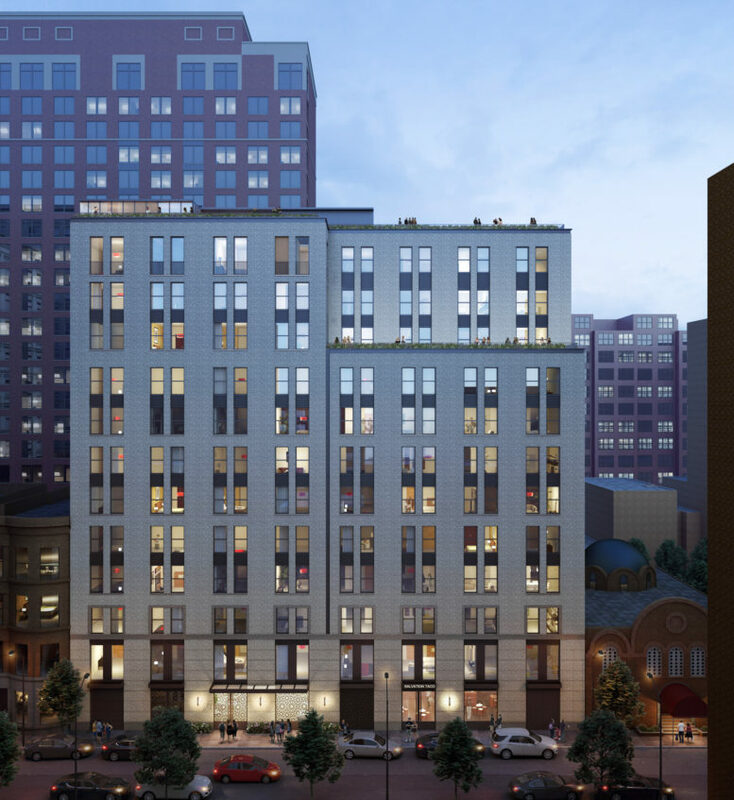 A twelve-story condominium building has received funding for its imminent rise at 70 Schermerhorn Street, in Brooklyn Heights, Brooklyn. The announcement comes from JLL’s Capital Markets, who raised $42.1 million in joint-venture equity from a $512 million fund managed by The Davis Companies. The capital will be allocated for construction financing. Lonicera Partners and Orange Management are behind the project, and the news comes also comes with a rendering. Since topping out earlier this year, façade installation has been the focus at the seven-story, 48-unit mixed-use project under development at 500 Waverly Avenue, located on the corner of Fulton Street in southern Clinton Hill. Progress on the exterior can be seen thanks to a photo taken by Tectonic. The latest permits indicate the new building, dubbed Waverly Brooklyn, measures 62,719 square feet. On the ground floor will be 7,568 square feet of retail space, followed by 48 condominium above. The apartments should average 975 square feet apiece and will range from studios to four-bedrooms. Amenities include a 33-car underground garage, private residential storage units, a fitness center, a lounge featuring a library, media center, and pantry, landscaped terraces on the second floor and rooftop, and bike storage. Orange Management is the developer and Gerner, Kronick & Valcarcel is the architect. Completion is expected later this year. 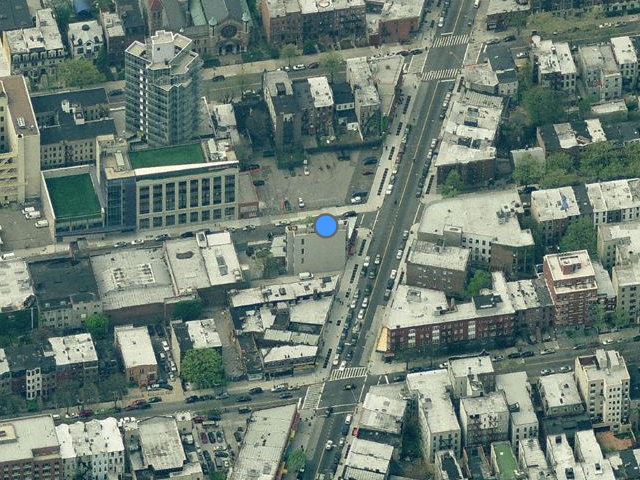 Back in July of 2014, YIMBY reported on plans for a seven-story, 48-unit mixed-use building at 500 Waverly Avenue, in southern Clinton Hill, located right across from the Clinton-Washington Avenues stop on the C train. Now, Curbed NY has official renderings of the project, dubbed Waverly Brooklyn and now addressed as 500 Waverly Avenue, which recently topped out at 78 feet above street level. The new 62,719-square-foot building will include 7,128 square feet of ground-floor retail space and its condominium units should average 975 square feet apiece. Unit configurations will range from studios to four-bedrooms, and amenities include 24 car parking spaces in the cellar, bicycle storage, private storage space, a gym on the second floor, and a rooftop terrace. Orange Management is the developer and Gerner, Kronick & Valcarcel (GKV Architects) is behind the design. Completion is expected later this year.